I decided to start brainstorming first birthday themes for Cherry! Her birthday is in May but you can never start too early. 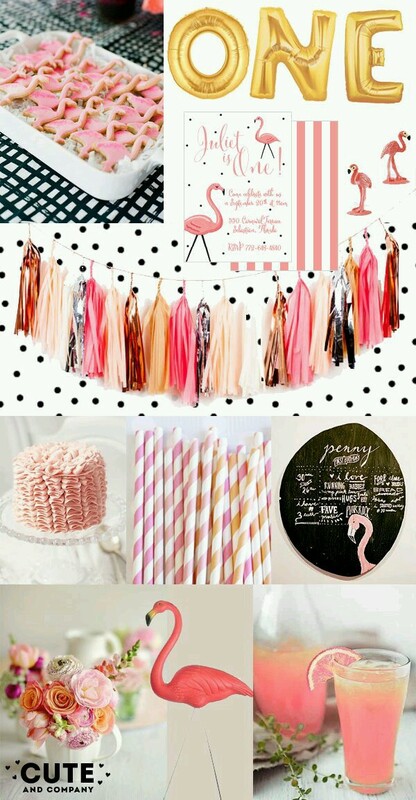 I did some Pinterest searches and it lead me to get the flamingo idea. I think it will be a great theme for adults and kids. 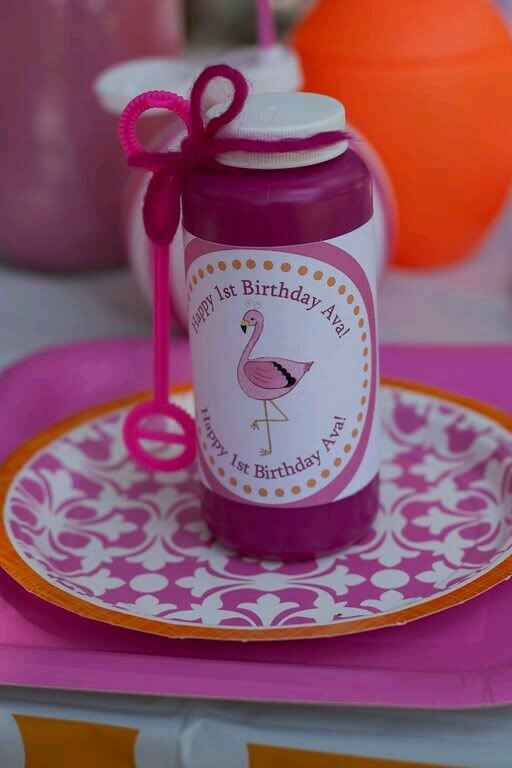 Since there will mostly be adults attending and around 6 kids, I thought having a cute girly party that can also have an adult feel is exactly what I was looking for! Here are a few photos for inspiration. The color scheme in this photo is exactly what I imagined when thinking of “flamingo luau”. I love the pink, peach, black and white together, the only other color I would add is aqua. Also, the letter balloons that spell “ONE” are a must! 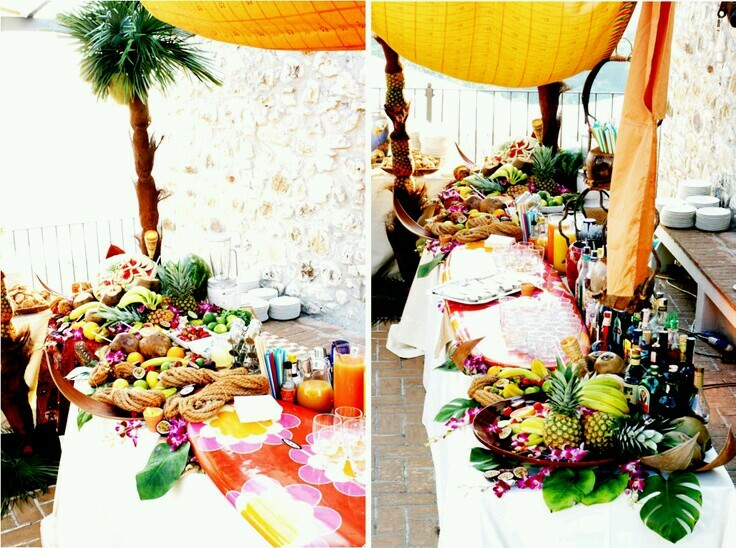 I really like the way the food buffet looks so colorful and crisp. The white linens, fresh orchids and palm leaves are so simple but look so stunning. It really sets the mood for the theme. 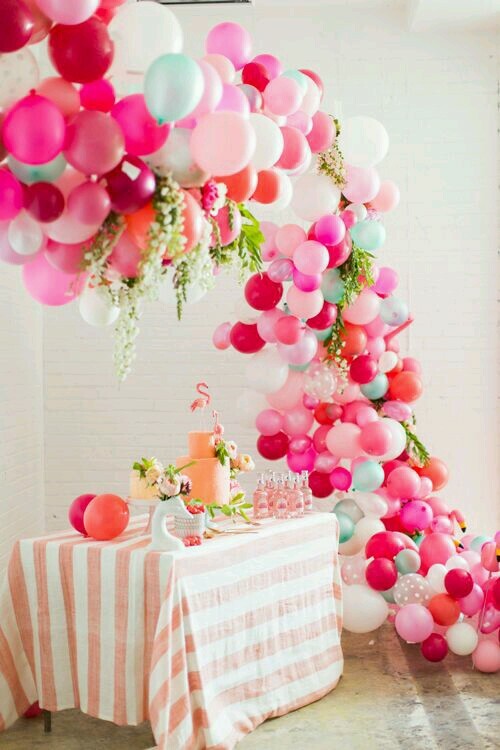 The balloon arch in this photo is so beautiful and inexpensive! I may have to incorporate this idea with my grape vines somehow. The centerpieces in this photo are so creative. Again using inexpensive items that look great! 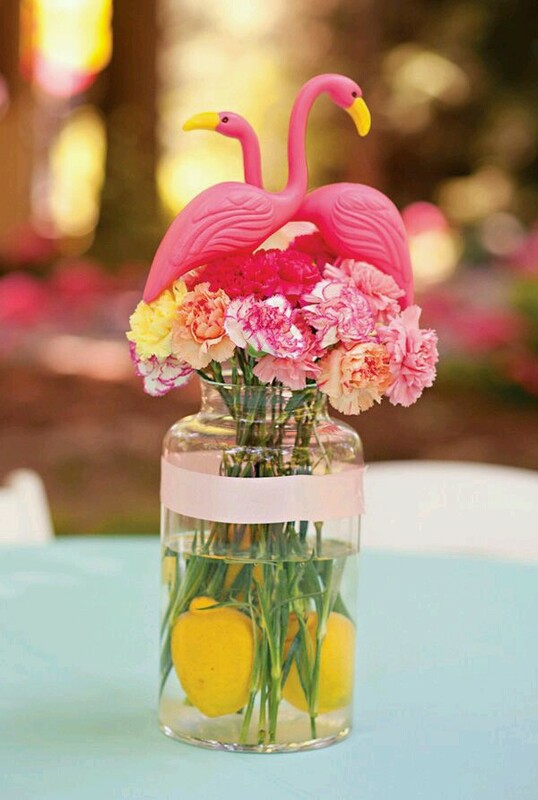 I would like to make my own, I already have large mason jars I would just have to find small flamingos, get lemons, ribbon and some pink carnations. Done! 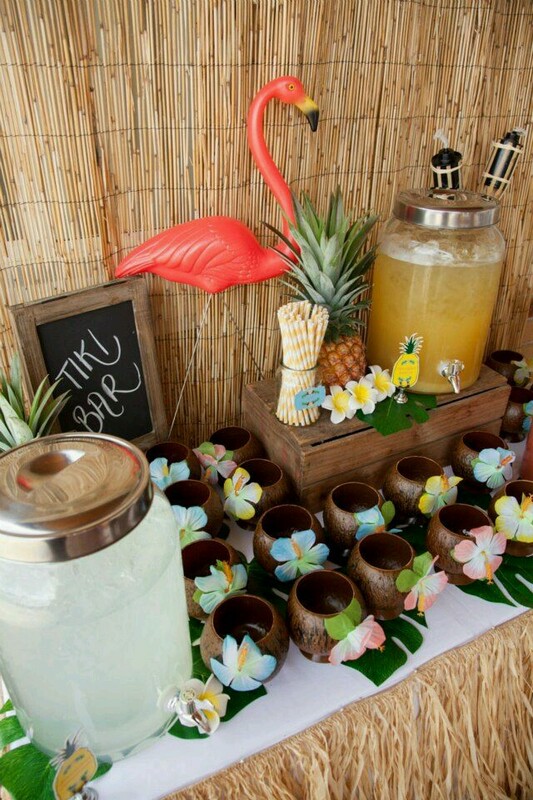 It would be great for the kids to have a drink station with the coconut cups that go perfectly with the theme. 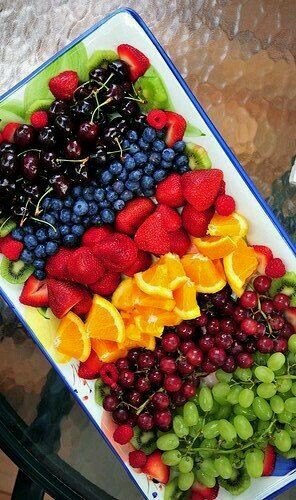 Since it will be Memorial Day weekend, of course we will need lots of fresh fruit! 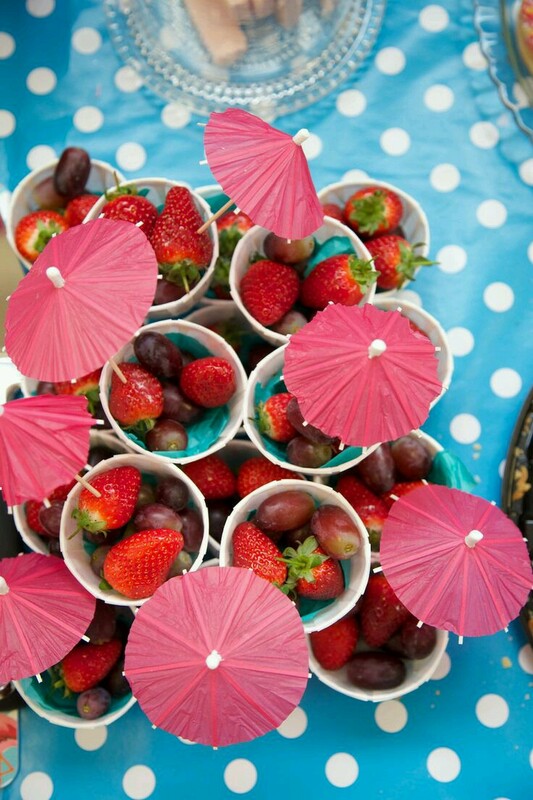 I like the fruit cups for the kids and a small umbrella for decoration, super cute. I will need to have a few party favors and activities for them. I found the personalized bubbles to have as a small favor and I am thinking we may need a pool or two. I really like the balloons floating in the pool, it really adds to the decor. I will keep you posted as I continue to plan! For All Of the Rockabilly Mamas!